Everybody loves to go the Spring Faire. 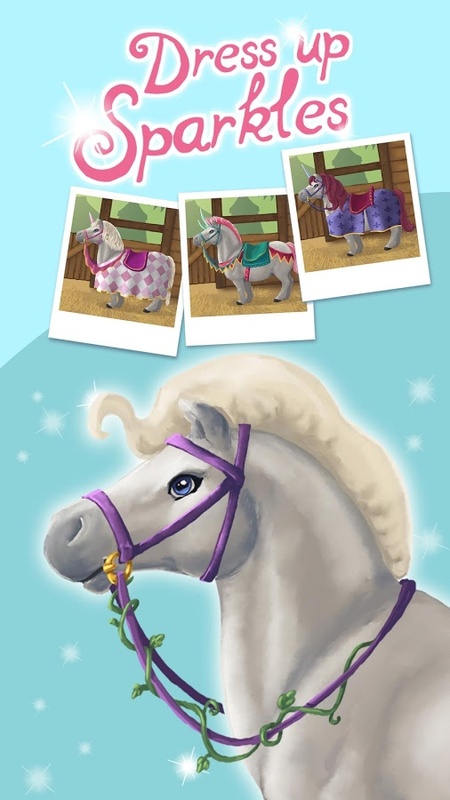 There are games, toys, delicious food and most importantly, the Spring Princess and her pony wear their most beautiful clothing! Help the villagers get ready for the faire. 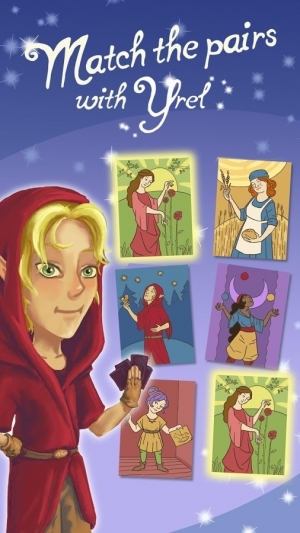 Bake with kind Alice, help her little brother Simon clean the stables and bathe the pony Sparkles, make a toy with giggly Izzy, play with Yrel to match the cards and test your aim with Cassandra. And of course… do not forget to choose the best clothing and accessory combinations for Spring Princess Rose and Sparkles! 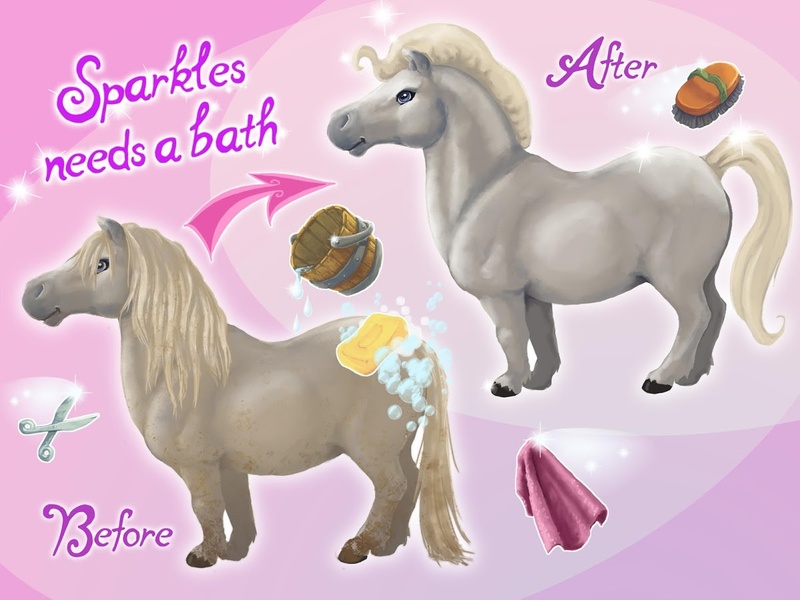 Simon is a nice boy who likes the animals, but he's always a bit distracted, help him clean up the stables, bathe the cute pony Sparkles and style the pony's hair! 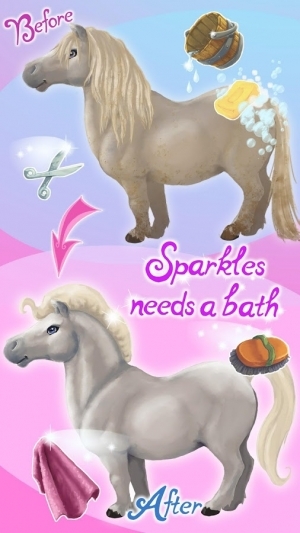 Sparkles has to be ready for a great day at the faire. Choose the best combinations of reins, saddle, hairstyle, cloths… and even horns! 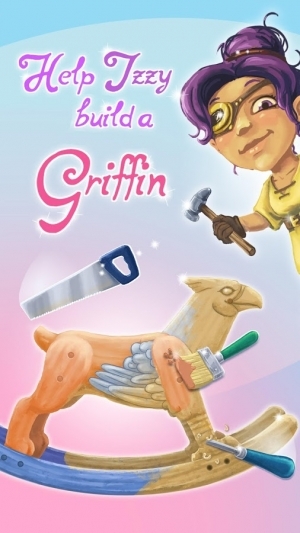 Izzy is a joyful, handy dwarf who needs your help to build a beautiful griffin rocker. Cut the wooden panel, shape it, assemble the pieces and paint this wonderful toy! 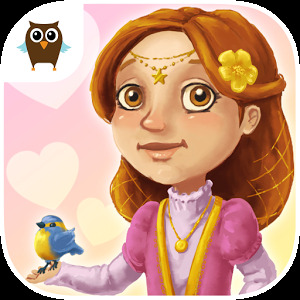 Rose is the kindest and most beautiful girl in the village and now she's the "Spring Princess"! Help her get ready for her great day, picking the best clothes and accessories from her wardrobe. Have fun with a whole range of dresses, shoes, hairstyles, tiaras and flower baskets! Yrel the elf has a game for you, match the pairs discovering beautiful medieval cards! Cassandra invites you to test your aim with her game. Hit the troll and get a lot of coins! Simon's sister Alice is the best baker in the village and possibly the whole kingdom. 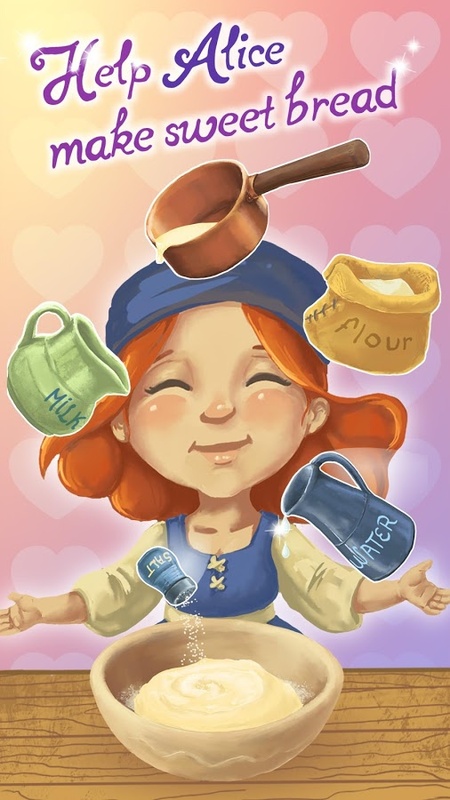 Help her make delicious sweet bread for the faire. Mix the ingredients, make the dough and bake it in the oven! Level up and collect all the stickers! guide for hello neighbor neww.